Winner of the jury prize at the Sundance Film Festival, "Trouble the Water" is a hybrid documentary--part amateur personalized reportage and to a lesser degree contextualized narrative--that shows the devastating effect of Hurricane Katrina and the malicious neglect performed by the U.S. Government against the storm's survivors. Filmmakers Tia Lessin and Carl Deal took their experiences from working on Michael Moore's "Fahrenheit 9/11" to post-Katrina New Orleans where they were fortunate enough to meet 9th Ward survivors Kimberly Rivers Roberts and her husband Scott, who had recorded their amazing experiences on a Sony Hi-8 camera. The charismatic couple provides clear-eyed footage of their survival efforts during and after the storm, which included helping to rescue and care for 25 other survivors that they transported out of New Orleans. 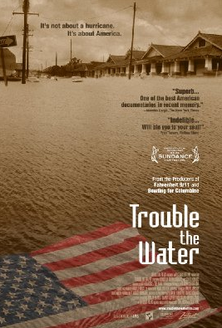 Gut-wrenching, infuriating, hopeful and unlike any other documentary ever made, "Trouble the Water" is a very specific view of two powerful human beings whose humble heroism and instincts for survival put to shame that of the authorities purported to provide aid to the devastated city of New Orleans. 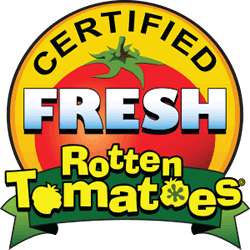 It’s a positively essential film for every citizen to see.